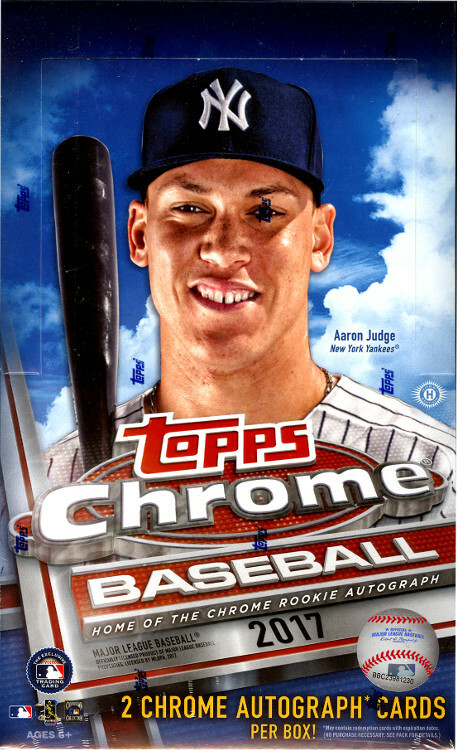 Topps Chrome Baseball returns in 2017 to showcase one of the game’s most anticipated MLB rookie classes in memory! 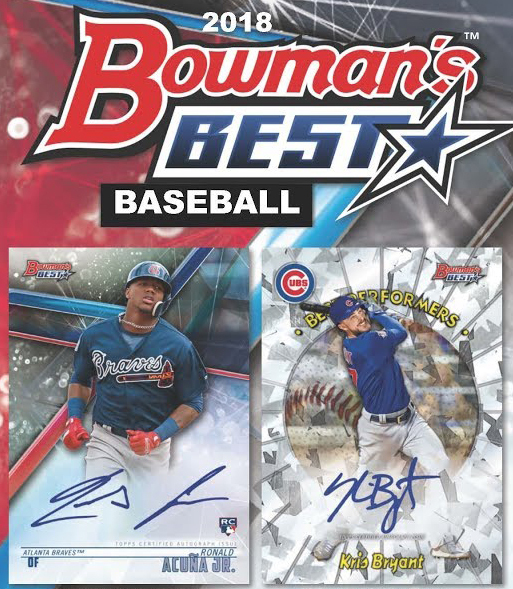 All of the season’s biggest rookies will be featured with rookie cards and ON-CARD rookie autographs, making 2017 Topps Chrome Baseball a can’t-miss release of 2017. 2017 Topps Chrome Baseball will showcase a compelling array of collectible insert subsets. Collect the famed 1987 Topps Baseball design on chrome technology. Featuring the biggest MLB veterans and rookies on one of the most recognizable designs of all time. 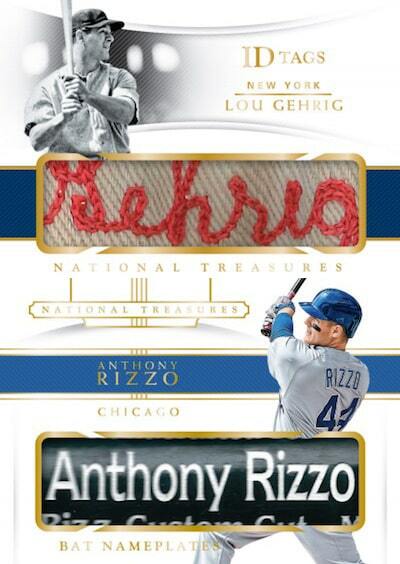 Look for specially-inserted on-card autograph variations! Highlighting the top young stars in MLB. Showcasing the brightest MLB rookies on a vibrant insert design. 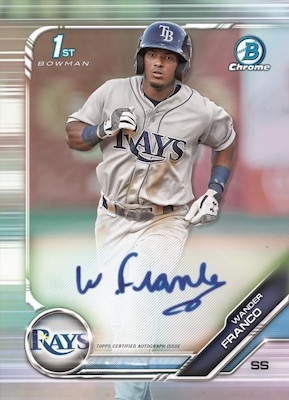 Look for specially-inserted on-card autograph variations!